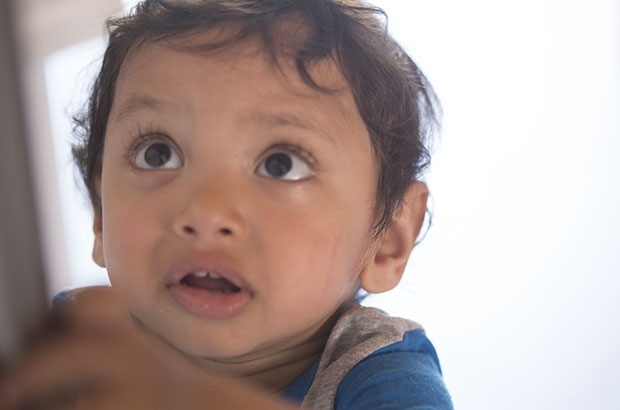 Ayaan Ahmed was diagnosed with SCID in 2016 and his parents were told their little one wouldn't make it past a year. Parent24 sat down with his mother, Shamaa Sheik, who shared his incredible story. In April 2016, Ayaan Ahmed was diagnosed with SCID when he wasn't even 8 weeks old yet. His mother, Shamaa Sheik, was told that without a bone barrow transplant within the following month, Ayaan wouldn’t survive past a year. I sat down with Shamaa in their Cape Town home. From his very first surgery to his most recent, this is the story of Cape Town’s very own "Bubble Boy". I visited Shamaa Sheik on 5 April 2018. We sat in the kitchen because the dining room was still adorned with gift bags, the furniture rearranged after a birthday party. Mug in hand, she began telling me about her family, more specifically, Ayaan Ahmed. Ayaan’s infection levels kept rising. But after numerous surgeries, from an exploratory lumbar puncture at 2 weeks to an emergency 7-and-a-half-hour surgery that saw the surgeons draining 25ml of pus and no fewer than 40 abscesses on his infant liver, he looked like he was finally on the mend. She remembers seeing him after the surgery. “It was such a horrific sight – he was hooked onto a ventilator. You know those viral pics you see of children hooked up to machines and tubes? To actually see your own child like that is devastating. You panic when you see machines, beeping, not knowing what’s going to happen. Before long Ayaan's condition deteriorated once again, so the investigations continued. In April he was finally diagnosed with SCID (Severe Combined Immunodeficiency) – a rare genetic disorder that affects the immune system and makes him particularly susceptible to infections. After his diagnosis, Ayaan was put in strict isolation, and his parents could only interact with him if they were wearing gloves, masks and gowns. But one of the doctors explained that "transplant" was actually the wrong word – it’s more of a blood transfusion. Even so, it didn’t come without its challenges and hearing her child needed the transplant within the first 3 months of life in order to survive past a year was truly terrifying. Shamaa was desperate for information – “starved”, she said. So she started looking into alternative therapies. Gene therapy, specifically. After reading various journal articles, drawing up a timeline and meticulously finding more recent trials with higher success rates, all that was left was finding a facility willing to go ahead with the trial. “Eventually I came across a hospital in Memphis, the United States, and they work on the premise of no family ever receiving a bill from them. They specialise in blood disorders and cancers and they had an open trial for SCID.” The hospital was St. Jude Children’s Research Hospital. "It only works where a child lacks a matched stem cell donor and he needs to have a specific mutation on a specific gene, which Ayaan has," she explained. After much back and forth, in March 2017, Ayaan was accepted into the trial, one that Shamaa described as “quite science fiction”. She chuckles when she thinks about the incredible therapy that took just 4 minutes to complete. "What it is is a spelling error. It’s the easiest way of describing it – it’s a spelling error in his genetic code. So Ayaan's genetic code just runs and runs and runs and then suddenly stops, and it tells his body to stop producing this amino acid that’s responsible for fighting off infection. And this gene therapy locates that spelling error and corrects it. "So what the doctors do is they remove a patient’s own bone marrow and run the stem cells through a cell separator machine. The machine isolates and removes certain cells, then the doctors find the specific gene that is defective. And we know exactly which gene that is because we had genetic testing done. And the doctors then treat these cells – his own stem cells – with a product that they created in their lab. "They then take disabled HIV, where the disease-causing elements of the HIV virus is removed, and inject the modified genetic material into the vector, which then transports it to the rest of the body. And it corrects the genetic code." Sounds a lot like science fiction. Ayaan had lost his sucking reflex – he was unable to feed, eat, talk and interact with others while he was in isolation. Shamaa never gave up, but things weren’t always looking up. She fed Ayaan his strawberry yogurt. “Bismillah,” she said, before putting a spoonful in his mouth; he stood next to me as I packed my things away. Making my way towards the front door she apologised once again for the aftermath of the celebration in the dining room. But I was happy to see it – happy to know Ayaan was there and for the first time able to fully interact with his family. Ayaan recently had his first party, she explained, for his second birthday. Do you have an incredible story you'd like to share with us? Tell us by emailing chatback@parent24.com and we may publish it on the site.